The present district of Bikaner lies just south of the river Ghaghar, located between 27011′ and 29003′ North latitude and 71054′ and 74012′ East longitudes. Bikaner is surrounded by Sri-ganganagar in north, Hanumangarh in north-east, Churu in east, Nagaur in south-east, Jodhpur in South, Jaisalmer in south-west and Pakistan in west. 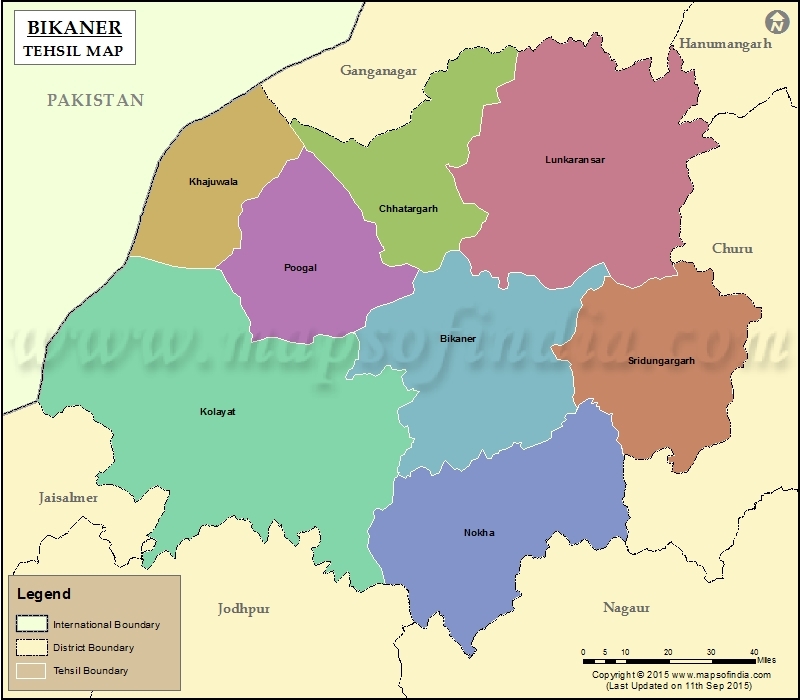 District of Bikaner is spread over an area of 30247 Sq. 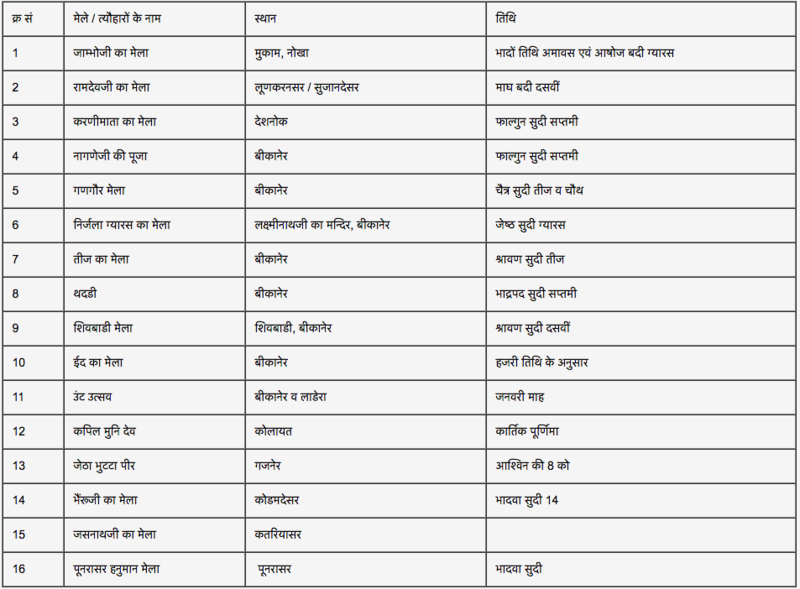 Km and is divided into 8 tehsils namely Bikaner, Chattargarh, Khajuwala, Kolayat, Lunkaransar, Nokha, Poogal & Sridungargarh. Since Mahabharat times, the area of present Bikaner was a barren wilderness and called “Jangladesh“. Subsequently, the territory was under occupation of Jat clans who ruled by their own chiefs and governed by their own customary law. During 15th century when Rao Bika, son of Rao Jodha arrived at Bikaner, the the region was possessed by seven Jat cantons namely Sihag, Dhaka, Punia, Godara, Saran, Beniwal, Johiya and Kaswan. Rao Bika used the mutual rivalry existing between Jat clans to carve out space for his own kingdom. According to James Tod, the spot which Bika selected for his capital, was the birthright of a Nehra Jat, who would only concede it for this purpose on the condition that his name should be linked in perpetuity with its surrender. Naira, or Nera, was the name of the proprietor, which Bika added to his own, thus composing that of the future capital, Bikaner. Branch of Rathores – Bika rathores. Killed fighting Marwar forces under Rao Maldeo. Resists attack by Mughal, Akbar till 1570, when Akbar gains submission. He and Akbar, each married a princess of Jaisalmer. Served in the Deccan campaign at Salher in 1672, Bijapur in 1675, and the siege of Golconda in 1687. Entered the protection of the East India Company with a subsidiary alliance in 1818. First to introduce electricity to Rajasthan. He also sets up a police force, a hospital and a modern administrative system. Signed the instrument of accession to the Dominion of India on 7 August 1947. Merged his state into the present state of Rajasthan, India on 30 March 1949. Junagarh Fort was constructed in the year 1588 A.D by Raja Rai Singh, one of Emperor Akbar’s most distinguished generals.. It is believed that crocodiles were bred in the water moat surrounding the formidable fort. The construction is a fine blend of Mughal, Gujarati and Rajput style of architecture. The picturesque courtyards beautify the fort. The fort complex houses some magnificent palaces constructed in red sandstone and marble like Anup Mahal, Chandra Mahal, Hawa Mahal, Dungar Mahal, Diwan-e-khas and Ganga Mahal. The fort also houses a Prachina Musem which contains royal costumes, textiles and accessories of Rajasthani royalty. Lalgarh Palace was built by Maharaja Ganga Singh in the year 1902 in memory of his father Maharaja Lal Singh Ji. The red sandstone construction is a fine blend of Mughal, Rajput and European architectures styles. The design was conceptualised by Sir Swinton Jacob. The first floor of the Palace houses Sadul Singh Museum. The lives and the passions of the three successive kings of Bikaner are reflected in the art museum. The rare artifacts, Georgian paintings, and the photographs seen here stand proof of the interests and the heroics of the three kings namely Maharaja Ganga Singh, Sadul Singh and Karni Singh. The Gajner Palace was founded by Maharaja Gaj Singh ji of Bikaner in the year 1784, and then completed by the great Maharaja Ganga Singh of Bikaner on the banks of the lake. The palace served as retreat after hunting for the royal family. The red sandstone construction is a glowing example of stunning architecture. 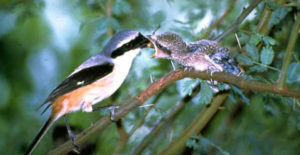 The palace is situated in the thick of forest and you could view migratory birds flock in great numbers. 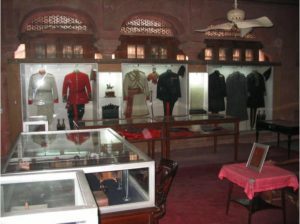 Ganga Singh Museum was founded by Maharaja Ganga Singh in the year 1937. The museum contains a rich display of archaeological artefacts from Harappa and the early Gupta periods. 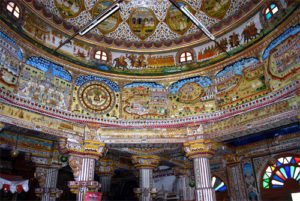 There are separate sections for paintings, arts and craft, woven carpets, clay pottery, ancient coins and Rajput weaponry. The paintings on golf leaves are excellent. 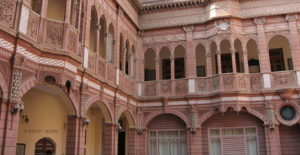 Bikaner has several havelis (aristocratic homes), the most famous cluster being the Rampuria Group of Havelis. The havelis are built of dulmera (red) stone, include – jharokhas (casements), entrances, latticed windows, divankhanas, gumaharias or basements. These massive havelis are decorated with golden work of the highest quality and Jharokhas are decorated with designs of flowers & leaves. There is Victorian influence in the design and also include exquisite wood carvings. Jain Temple was commissioned by Bhandasa Oswal in the year 1468 and completed in the year 1514. 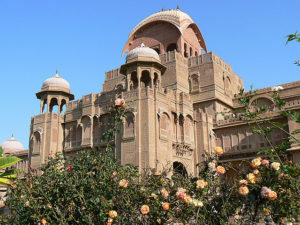 The structure is influenced by Rajputana architecture and includes unique and intricately sculpted pillars, frescos and the gold leaf work, with a blend of red sandstone and white marble used in the construction. The mirror work in the temple is unique as well. Kodamdesar temple is located 24 kilometres from Bikaner. The deity Kodamdesar Bhainru Ji was installed by Rao Bikaji sometime during the first three years of his arrival from Jodhpur. This place of worship was initially chosen as the site to lay the foundation of Bikaner, but was later shifted to its present location. 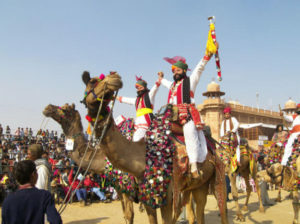 The Camel Festival is organized by the Department of Tourism of the Rajasthan Government at Bikaner in January every year. The festival starts with a colorful procession of bedecked camels in backdrop of the Junagarh Fort. Among other things, tug-of-war contest, best breed competition, camel dance and acrobatics are held. The camels display amazing footwork, dancing gracefully to the directions of their trainers. Bridal bridles, be jeweled necks, jingling anklets and camel shadows, cast a spell on the audience. In the evenings, is held a traditional rendezvous of renowned artistes and folk performers. Karni Mata Fair is held at Deshnok, a small town near Nokha, twice in a year. 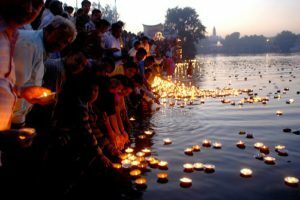 The first and larger fair is held in March-April during the Navratras from Chaitra Shukla Ekam to Chaitra Shukla Dashmi the second fair is held in September – October, also during the Navratras, from Ashvin Shukla Ekam to Ashwin Shukla Dashmi. 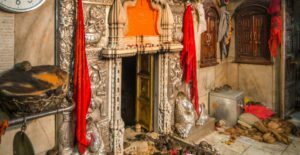 Karni Mata has been worshipped as a goddess by her principal followers, ‘Charans’, as well as the rulers of Bikaner(Rathores), who regarded her as the patron deity. 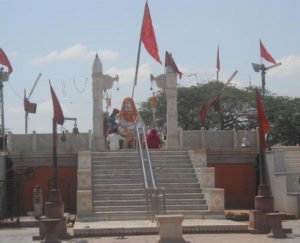 The Karni Mata Fair is held in her honor. The temple of Karni Mata at Deshnok is a stone and marble structure and is also known as Madh. Inside the shrine, a 75 cms. image of Karni Mata adorned with a ‘mukut’ (tiara) and garlands are installed. Her image is accompanied by the images of her sisters and the sisters of Avad Mata. Kapil Muni fair is organized during the full moon of kartik (Nov) at Kolayat. There are 50 ghats border the lake where devotees come to take a holy dip in the lake. 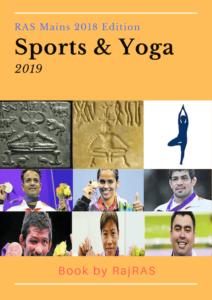 The place is identified as worship place of Kapil Muni, the propounder of Sankhya (one of the six ancient philosophy school in ancient India). A cattle fair is also held at this place during the same time. 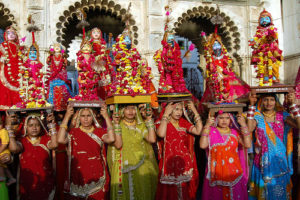 Gangaur Festival in Bikaner is celebrated in the month of April every year. As the term Gan indicates Lord Shiva and Gauri is the divine consort of the Lord, hence the festival of Gangaur is followed to celebrate the divine bliss of Goddess Parvati – the other name of Gauri. The women of Bikaner have a special role to play in the Gangaur festival. Celebrated for 18 whole days, the Gangaur festival is followed by the people of Bikaner by taking out a colorful procession. 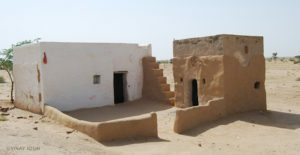 The major parts of the district covers desolate and dreary regions which form part of the Great Indian desert of Thar. The district can be classified into two natural divisions (i) north and western desert and (ii) south & eastern semi desert. In greater part of the dis­trict the plain is undulating or interspersed with shift­ing sand hills, the slopes of which are slightly fur­rowed by the action of wind. There are no hills and no rivulets or streams of. any significance. The dis­trict has a -dry climate with large variations of tem­perature and scanty rainfall. Many geologist believe that during the Jurassic, Cre­taceous and Eocene periods the western part of Rajasthan including Bikaner district was under the sea. Later in upper Tertiary period area got up lifted in to dry land. Geologically the oldest rocks exposed in the limited area and encountered in dug &, tube wells etc. have been equated to upper vindhyan of south east Rajasthan known as trans Aravalli- Vindhyans Over­lying them are Tertiary formations followed by quarternary to recent sediments. Gajner wildlife Sanctuary is located 32 kilometres from Bikaner, on the Jaisalmer road and is a lush green forest which is a haven to the nilgai, chinkara, black buck, wild boar, flocks of imperial sand grouse and many other species of migratory birds that make the sprawling forest their winter home. Katariasar villae is located 45 kilometres from Bikaner on the Jaipur Road and the village is rich in ethnic, rural and cultural life. In Katariasar, one can walk on sand dunes and view the sunset against the desert landscape. The main attraction of this village is its inhabitants, the Jasnathjis, who are fire dancers. Herds of chinkaras, desert foxes, rabbits, peacocks, parrots and partridges can be spotted here. The first Asian Nation Camel Breeding Centre is situated at Jorbeer near Bikaner.The centre is spread out over 2000 acres of semi-arid land and is managed by the Government of India. 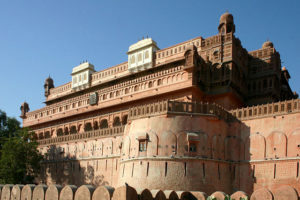 It is also great tourist place in Bikaner district. The district of Bikaner is a vast sandy tract. Majority of the area is covered with sand except some exposures near Kolayat and in Nokha tehsil. These are locally called as Magras. In these areas various types of sandstone, clay & limestone have been re­vealed at different levels. 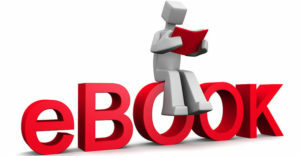 Bikaner district has some very important nonmetal­lic mineral deposits in state. It has vast resources of lignite and gypsum, besides clay, fullers earth, ochre and grit. The best quality gypsum in India was found at Jamsar, small occurrences of red sandstone and lime stone are also found at places. Limestone at Sarunda is high grade at places (upto 54% CaO) but the de­posit is small and suitable for a mini cement plant. Glass sand is utilised in glass industry. Bikaner district is well known for its lignite depos­its. During the erstwhile Bikaner state thermal power generation was based on the lignite resources of Palana. There have been continuous efforts for development and use of lignite deposits. Recetly an MOU has been signed for exploitation of Barsingsar deposit. According to 2011 census, the population of Bikaner is 23,63,937 with 66.14 percent being and 33.86 being urban. 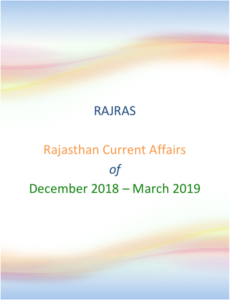 In case on Non-receipt of PDF after payment, just drop an email to rajasthan.ras@gmail.com with registered email ID and PDF shall be sent to you on email itself.